~ Passed away peacefully, in the morning hours of Wednesday April 15, 2015. Desmond was husband to Isabel and father to David, who both predeceased him in 2010. Des will be missed by his daughter-in-law Kathryn and his two grandchildren Meghan and Evan. Step-brother to Beverley Jollimore and family and Gerry Williams. Brother-in-law to May and Jack Higginson and family, Joseph Orr, Peter Todd and the late Nan and family and Ronald and Josephine Orr and family. Des was born in Derby County, England in 1937. While he was young, he and his mother immigrated to Toronto aboard the Queen Mary. Although he was born English, Des was an Irishman at heart. He met Isabel while stationed in Belfast during his service with the Royal Canadian Navy aboard the HMS Bonaventure. After the Navy, he worked at Owens-Corning in Guelph as a millwright. He loved soccer and coached many boys’ teams in Guelph, while being an avid supporter of Manchester United. 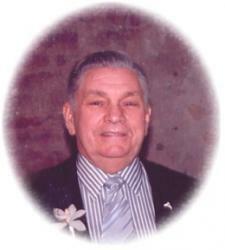 He had a passion for model trains, ships and enjoyed spending time with his family. Desmond was a member of Trillium Lodge A.F. & A.M. No. 724 GRC and the Lodge will conduct a Masonic Service at the funeral home on Sunday April 18th at 1:30 p.m.
Friends may call at the GILCHRIST CHAPEL – McIntyre & Wilkie Funeral Home, One Delhi Street, Guelph (from 2 to 4 p.m. Sunday). Cremation has taken place. Memorial contributions to Shriners Children’s Hospital would be appreciated. We invite you to leave your memories and donations online.